More energy it’s something everyone could use. From first cup of coffee to your afternoon trip to the vending machine at work, it seems like chasing down a quick energy fix just leaves you feeling even more sluggish than before. When you are watching what you eat due to diabetes, you might find it even harder to find easy solutions to gaining a little more energy. The answer, as it is so often, is in your diet. What you eat is just that important, that it truly affects every aspect of your life. While that may sound daunting, consider also the power this gives you over your own life. Simply changing your diet can help you to feel better; stays focused, and stay more energized. An energetic day starts with the right jolt to get you moving. A great breakfast starts you off right and wakes you up for the day ahead. You want to get your blood sugar up after fasting all night, and keep it maintained at a healthy level until your next meal. This one pan recipe is about as easy as it gets, and can be modified according to how many people you are cooking for. It is also easy to swap out ingredients for your favorite vegetables or breakfast meats to make it your own. Start by cooking your chopped bacon pieces until about two thirds of the way done, depending on how crispy you like your bacon. Drain most of the excess grease from the pan, keeping the bacon in the pan. Add your onion and bell pepper, and cook until onion is translucent. Add your shredded potatoes into the pan, flipping and scattering until cooked through and hash-browns are lightly brown, or browned to your liking. Add eggs to the pan, scrambling all of the ingredients together until eggs are cooked through. Season to taste; and top with a little shredded cheese. The early afternoon can start looking pretty bleak without a good meal to perk you up. After so many hours since your last meal or snack, your blood sugar can start to drop. Perk it up and keep it stable with a nice rounded midday meal. Crisp and refreshing and filling too, a big salad is the perfect lunch meal to keep your energy focused and moving. Even better, these simple ingredients can be thrown together to go for lunches away from home. Simply throw all of your ingredients in a big bowl and toss together with 1-2 tablespoons of your favorite light dressing. Top with croutons, dried cranberries, or walnuts for a special touch. 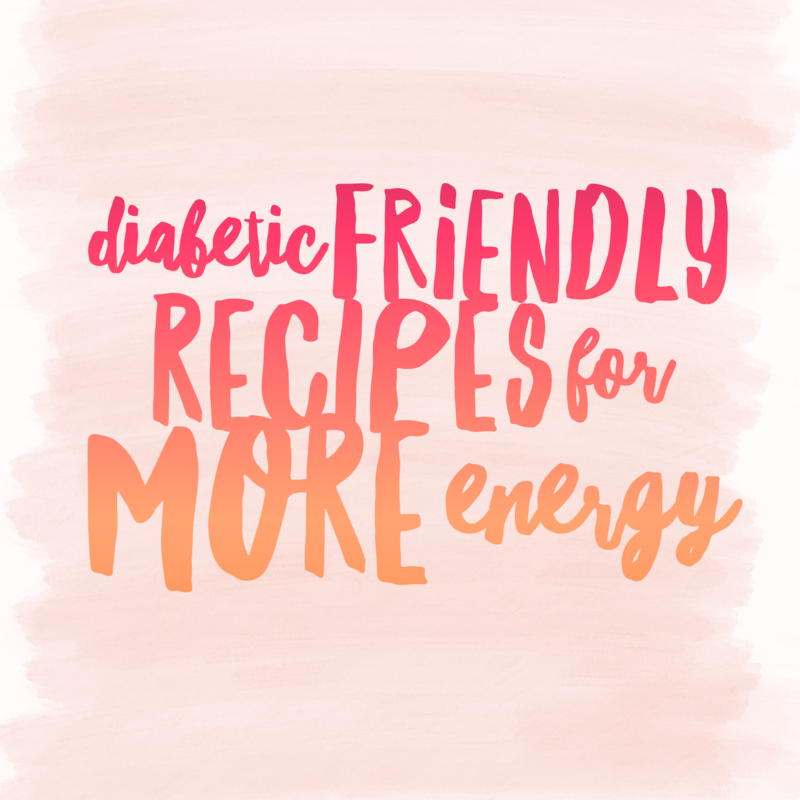 Diabetic friendly recipes for more energy never tasted so good. Tasty recipes like these, along with plenty of water and regular exercise, can help you increase your energy exponentially. As always, talk to your doctor before making any big changes to your diet or lifestyle. 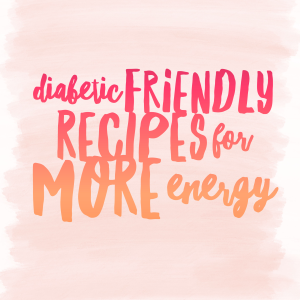 If you are looking for more information on diabetic friendly recipes, click here.